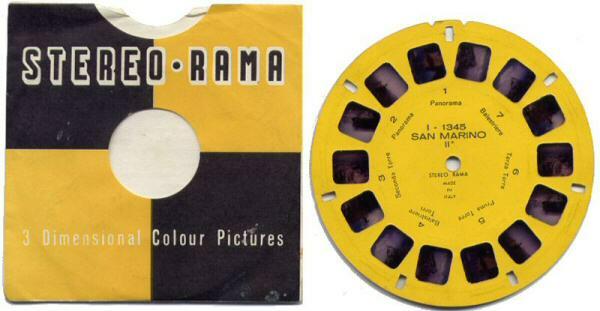 Stereo•Rama viewers are another example of a cloned View-Master. 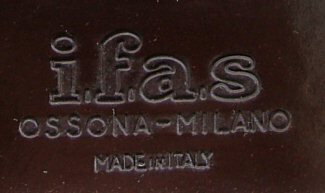 They were made in Milan, Italy by a company called Technofilm in the 1950's and 60's. They take View-Master reels although there was an extensive range of Stereo•Rama reels manufactured specifically for them. The Stereo•Rama reels were photographed using Kodachrome film and so the colours of the images have remained bright and vivid. Typical flamboyant Italian styling serves to make this viewer a work of art in it's own right. 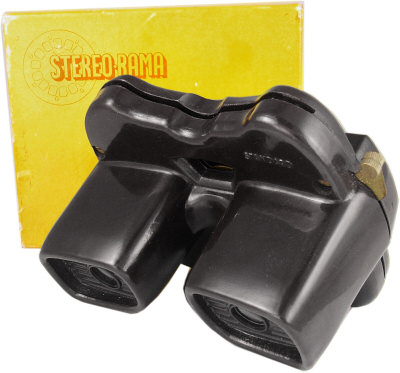 Another variant of the 'Standard' Stereo•Rama Viewer. 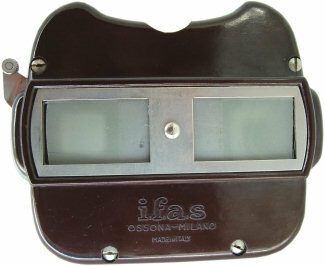 A plain brown 'Standard' viewer, but this one has i.f.a.s moulded into the casing. This stood for "Industria Foto-ottica Apparecchi Stereoscopici" which translates to Photo-Optical Industry Stereoscopic Equipment. An example of a rarer black Stereo•Rama Standard Viewer. In the same way that Sawyers had a flagship product, the Model D, that had the ability to be focused, Stereo•Rama also created a focusing viewer as shown below, known as the 'Special'. 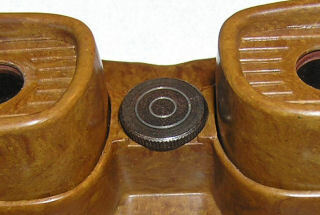 The focusing was achieved by rotating the wheel in between the viewing lenses. This viewer is made from plastic and closely resembles it's View-Master Model E equivalent.